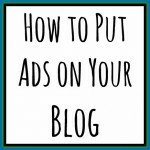 About a year and a half ago, I created a post telling people ways that they could get paid to blog. Well, it’s approaching the the last third of 2014 now and things have changed. 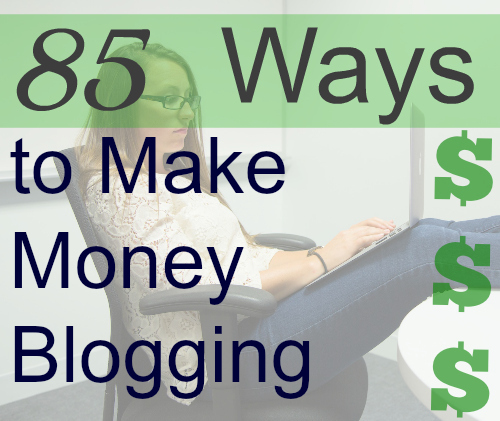 I have created a new list of 85 ways to make money with your blog. I’ve created a 2 page checklist with all of the items on this list so you can easily keep track of which opportunities you have explored and which ones still need attention. Click here to get the printable PDF. These networks will provide you with ads that you can put up on your site and earn passive income. They will serve ads that are targeted to your readers. There is a new ad network popping up every week and you certainly won’t find them all on this list. I do, however, cover many of the mainstream ones. AdSense – With AdSense, you can run up to 3 display ads at one time on your site. There are tons of ad sizes available. You can also add link units, which are lines of ads that are just text links. 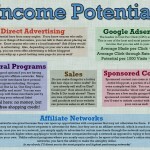 AdSense is commonly known (though not true for eveyone) as the ad network with the highest revenue potential. Advertising.com – They require very high monthly pageviews to join. I believe it’s 300,000 monthly. The payout is generally lower than AdSense but higher than Lijit. BlogHer Publishing Network – You’ll have to make it through their rigorous application process where your site design, content and other ad networks will come under scrutiny. If you can make it through, you’ll be a part of the only ad network that comes close to AdSense earnings. Chitika – Another mediocre display ad company that should be 2nd or 3rd in your queue. Federated Media – another ad network designed for sites with a large number of pageviews. I have heard from several sources that Federated Media is an excellent network with good payouts. The one thing you should know about FM is that your site’s pageviews are available for everyone to see on their site. Glam Media – sponsored content in addition to display ads can be found in this tough-to-join network. 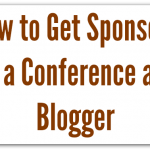 They don’t allow you to have BlogHer ads and Glam ads on the same site. Lijit/Sovrn – Similar to Advertising.com, use this if you can’t get AdSense or want more display ads on your site. I don’t know of anyone who makes even 50% of what they make with AdSense using Lijit. Luminate – this one is a little different. Luminate allows you to monetize pictures on your site with ads that pop up at the bottom of images. See an example of Luminate in action here. Luminate is on longer in service. Media.net – owned by Yahoo, this ad network offers fairly ugly text ads and pays rather low amounts. Another viable option if you’re without AdSense though. These companies have programs that will turn regular links or pieces of text into PPC links or paid affiliate links. A lot of these are not popular, as they do negatively affect the user experience by turning random words into random links. InfoLinks – creates links that produce small pop-out ads (when hovered over) out of pieces of text on your site. Kontera – another major player in the in-content ad game. Matomy SEO – This is a very large network that provides you with text ads, in-link ads, content marketing pages and more. This is a very underused network in the blogging world and is definitely worth a look. VigLink – you’ll also find this under affiliate networks, but they also have a link program where you install code on your site and VigLink recognizes keywords (aka dress, new shoes, hotel) and automatically turns them into clickable affiliate links that make you money. There is another competitor (Skimlinks) but they have severe tracking issues in my opinion and are not worth signing up for. Get paid to blog by promoting products from your favorite stores. The majority of online merchants have affiliate programs, which pay publishers a percentage of sale when they refer customers from their site. Listed below are affiliate networks, which are networks containing the affiliate programs of a large number of merchants in addition to individual affiliates, such as Amazon.com. Amazon Associates – receive a percentage of sale for referring people to Amazon to make a purchase. Perhaps the single most popular affiliate out there. Unfortunately, if you live in the following states: Arkansas, Colorado, Maine, Minnesota, Missouri, or Rhode Island, you cannot join due to tax laws. Commission Junction – CJ has a huge library of affiliates that you can apply for. They also have a premium publisher program that they are building right now which focuses on content heavy blogs. Ebay Enterprise – formerly PepperJam, EE is a network with just under 1,000 affiliates. EE lacks a lot of major retailers and has notable tracking issues. I recommend using them as a last resort for affiliates. Flex Offers – another good sized network with major merchants such as JCPenney, Kohl’s, Roxy and Sears to name a few. Groupon – promote the daily deals that Groupon has via their own affiliate program. Impact Radius – a smaller network, but still with large companies such as Forever 21, NastyGal, Lord & Taylor and approximately 250 more. LinkShare – another huge network of affiliates including Macy’s, Kohl’s, iTunes and about 1,000 others. Point Click Track – has a lot of spammy-type offers like “free” stuff but also has a few merchants like Ellie, Pacific Sunwear and Vistaprint. ShareASale – yet another large network with merchants including Zulily, Reebok, Wayfair and about 3900 others. Viglink – I love VigLink because they track very well. They also have access to about 35,000 merchants. If you only decide to monetize via affiliates one way, join VigLink. Creating specific product links is a breeze and you can monetize just about any store you can think of with their massive library of merchants. The best part? They offer exclusive high commission rates for some merchants (like Nordstrom, for example). *Bonus – ask your webhost if they have an affiliate program. Some (such as HostGator) pay $65 or more per referral! These are networks that you can join and are given access to offers such as paid surveys, printable coupons, baby products and more. Promote these offers to earn (98% of the time) a set amount of money per action (usually just an email registration). Centerpoint Media – offers include Esquire and Comso magazines, Home Depot sweepstakes entry, FabKids and more. CPA/DNA – offers such as Savingstar and paid survey companies. Integrate – a very large network of offers that can seem spammy. Some hidden Gems like ThredUp. MySavings – current offers include – 24 Hour Fitness free 3-day pass, Big 5 Sporting Goods printable coupon, JustFab, Living Social and more. Panthera Network – offers from Zoombucks, SoundCloud and a slew of paid survey sites. These are large networks with a lot of bloggers in them. They seek out sponsored opportunities that you can apply for as a member. It’s a nice way of getting sponsored posts without having to go out and pitch yourself. Bookieboo – sponsored posts/Tweets and more, mostly revolving around healthy eating and living. BSM Media – sponsored posts for mom blogs. The linked page isn’t necessarily an “apply” page so I recommend using the contact form to introduce yourself. Burst Media – sponsored campaigns from companies including L’Oreal, Ella and Disney. Clever Girls Collective – less campaigns than Social Fabric, but the ones they do have are pretty good. CrowdTap – They have a Socialstars program that people are posting sponsored content from. I know for sure you get free products, but I think some get paid as well. Glam Media – sponsored content in addition to display ads can be found in this tough-to-join network. Ignite Social Media – land sponsored posts and even larger post series that can net 4 figures. Latina Bloggers Connect – sponsored posts for Latina bloggers. Latina Mom Bloggers – it’s pretty obvious who they are looking for… if you fit the bill, apply and be in the running for sponsored post opps. Linqia – sponsored posts that pay per click. You are given a goal, but even if you don’t reach it, you get paid for the clicks you did get. Massive Sway – the network created by the SITS Girls offers sponsored posts from a variety of brands. Mode Media – part of the Glam family, Mode offers members sponsored post opps from a variety of companies. ModernMom – sponsored posts and product reviews. Invitations delivered to your email inbox. Mom it Forward – sponsored posts and event hostings for moms. Mom Spark – sponsored posts, in-home parties, blogging events, ambassador programs and more. Mom Trends – host parties locally, get sponsored posts and more. Pollinate Media – Even less campaigns than Clever Girls, but some decent ones. PopSugar Select – sponsored campaigns for fashion, food, beauty fitness and mom blogs. She Speaks – connect with brands and land sponsored opps. Single Edition – sponsored posts for lifestyle bloggers. Social Fabric – a lot of grocery and food based sponsored posts with fairly picky requirements, but they pay decently and on time. SocialMoms – I recently saw a slew of bloggers posting a Cheesecake Factory campaign through this company. Social Spark – sponsored blog posts and tweets. Sverve – sponsored posts, tweets and Pinterest contests. Tap Influence – create a media kit and let brands come to you. Once a brand chooses you, you can negotiate your rates. The Motherhood – lots of sponsored posts for local and national brands. These companies will help you manage the sale of private ads on your site. Most of them will have you enter your stats and companies will see your site in a marketplace of potential advertising places. BlogAds – You enter your blog’s info and are in their network of potential blogs whose ad space is sold to buyers. They have a sales team in place to try and sell your (and all of the other members’) ads. BuySellAds – for larger sites expecting to sell over $1,000 in ads per month. Passion Fruit Ads – more of an ad management system, but allows people to purchase ads and pay you right away on your site. Offering discounts is also a breeze with Passion Fruit. While not actual money, referral credits can be just as good as money if it’s used to purchase something that you would have bought anyway. Also, sometimes it’s okay to just rack up a little bit of fun money at some of the stores below. Note: many of these companies also have affiliate programs where you can earn actual money, but it will be a lower amount than the credits you can earn. Cell Phone Companies – check with yours- most companies (Virgin Mobile, T-Mobile, Verizon, etc) have a referral program which gets you $25 or more off of a bill for referring new customers. DirecTV – along with other cable companies offer a bounty for referring customers. DirecTV actually gives you $100 toward your bill(s) so that’s significant! Diamond Candles – once you make a purchase, you get a referral link that gets people $5 off and you $5 in credit for each one who signs up and makes a purchase. Dropbox – get 500mb of space (up to 16GB) for each referral. Gilt – earn $25 after your referral’s first order ships. Groupon – get $10 in credit for everyone who you refer with your special link. Hulu – get 2 weeks of free credits (and so does your referral) for sending people to Hulu Plus. Ipsy – earn Ipsy points for each referral that you can use to get bonuses in your Ipsy bags. Julep – get $15 in credits for each friend who signs up using your referral link. New signups will get a code for a free box upon signing up! Living Social – order something you want/think your fans will like. You will get a link to share with others. If 3 people purchase using that link, yours becomes free! Lot 18 – get $25 for everyone you refer who makes a purchase on this fine wine site. The person you refer will also get $10 in credits! ModCloth – get $15 for every referral who makes a purchase of $50+ within 30 days of signing up via your link. $585 max credits per calendar year. My Habit – Earn $20 to spend on MyHabit for each friend who accepts your invite and makes a purchase of $20+. You can also find MyHabit’s affiliate program through Commission Junction and Amazon Associates. Naturebox – get $10 in credits for each person you refer. No credits on special pricing offers. One King’s Lane – get $15 for everyone who signs up using your link and makes a $30+ purchase within 30 days of signup. Rue La La – get $10 for everyone you refer who makes a purchase. The nice part here is that they can join one day and make a purchase 3 weeks later and you still get credit for the purchase. The Honest Company – get $20 for everyone who you refer who makes a purchase or starts a subscription. ThredUp – get $10 for everyone you refer who makes a purchase. ThredUp makes it easy by giving everyone you refer a $10 credit to get them started. Vitacost – get $10 in credits for each person you refer once they make a purchase. Zaycon Foods – get a whopping dollar for each person you refer who makes a purchase. *Bonus – my local pest control company has a referral program. Don’t hesitate to ask around – especially if you have a local audience. *I could go on for pages and pages listing places with referral programs, so I’ll stop here, but that doesn’t mean you have to! While I subscribe to the philosophy that free products don’t pay the bills, some people aren’t blogging for money, so free products are totally fine. Additionally, if a free product is something that you would have purchased anyway, it’s money saved, which is the same as money earned in my book. BlogDash – write reviews of products that are sent to you for free. With clients like HP, Sands Resorts and Intel, you could land some nice freebies. Tomoson – join and apply to receive free products in exchange for reviews on your blog. Wolf at Best Buy – sponsored posts from Best Buy in return for free products. Another trend in blogging is to use your blog as a trampoline into the product/services sales business. Using your blog to connect with potential customers can be a great way of promoting your business. Etsy – sell craft/diy/art things among others at the one of internet’s most popular stores. Instagram sales – a popular thing with fashion bloggers is holding sales on Instagram for their clothing. 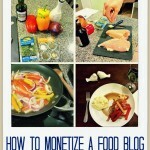 Quite a few bloggers make decent extra cash doing this. Running these sales on Instagram means you avoid eBay/etsy/Amazon seller fees. MLM businesses – use your blog to promote your essential oil, Avon, Mary Kay, Stella & Dot and other mlm business. eBooks – write an eBook around your content (or about anything) and sell it on your blog. Tutorials, guides and recipe books are also options. Enter your name and email to get on my newsletter and you’ll get 5 additional ways to make money with your blog delivered right to your inbox! Do you know of any opportunities that I should add to this list? What are some ways you get paid to blog? I went to look at the Luminate picture ads on your wife’s site and didn’t see any so when I clicked the link I realized that they were not longer doing these types of ads. Do you have a different site that you recommend for these types of ads? Thanks! I don’t have a good replacement idea for those types of ads. Sorry. It’s a bummer too, because those were great ads for certain sites! Thank you for listing all of these in one place! I am a new blogger and have not signed up for any affiliate programs yet. Would you recommend waiting until you have a good following before becoming an affiliate? Yes, I always recommend waiting before pushing the affiliate stuff really hard. Focus on great content and then start weaving in affiliate links and such after a while. Thanks so much for this informative post! I’m revamping my site to become more monetary! When do you feel is a good time from a blog stats perspective to start partnering with affiliate programs? Hey Erica! I don’t know that there’s an exact time to partner with companies… it’s on a per-company basis. For example, you should join Amazon’s affiliate program early on, but networks like Social Fabric or BlogHer seem to require a certain baseline for stats and social media followers. I’d just make a goal of looking into 2-3 new companies per week and go from there. Great information Zack! As a new blogger, this is much much much appreciated! I did want to let you know, in your “offer networks” section, you have a small typo in the MySavings content. Again, thank you! This is huge! I will be sharing with all my blogger friends! Thanks Kayla! Glad it helps! And thanks for the heads up on the typo – I was able to clean up the embarrassment, haha! Wow! I just found this page and this is SO helpful! Thank you for the information!! Hi there, wow, this is such an extensive list … thank you so much for putting it together! It’s unbelievably valuable to have this kind of information. I just came across your blog today but I can tell it’s going to be a great resource for me. Cheers!! Thank’s for sharing valuable information.A lot of people spend hundreds of hours over the internet to know how to earn money online. Your suggestion is helpful to newbie’s. I agree with you in AD networks that will provide you with ads that you can put up on your site and earn passive income. I am doing blogging for sometime now and I’m making fair enough money from my blog. Do you know if any of these would work with new bloggers? If I don’t have a ton of followers yet or pageviews (working on it!) what’s the best way to start? I feel like brands only want to work with bloggers who are already well established. Thanks! You can start with affiliate networks! Brands like to work with established blogs on sponsored posts, but most affiliate networks accept all levels of bloggers! The VigLink link is broken, does this company no longer exist? It’s working now and they definitely still exist. Perhaps the site was down for a bit. 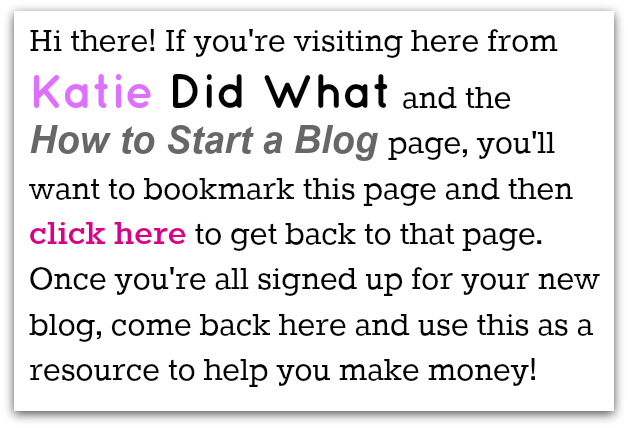 Hi Katie, do you reccommend adding all of the ad links to our blogs? Or picking only one? I have google adsense & don’t want to seem too spammy when people come to my page, but was looking for some feedback. Thank you! I would pick one or two to start.